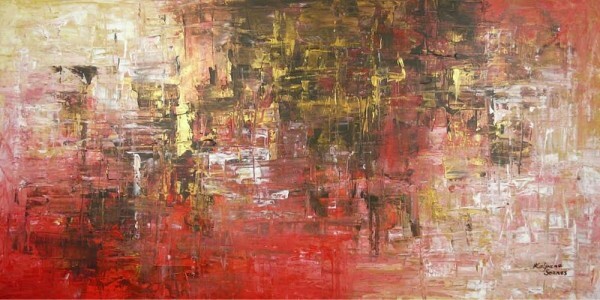 Description: An original painting by Kalpana Soanes. Dream With Pure Compassion, a large abstract in orange, coral, cream and pink. Vibrant colours on chunky canvas. Gentle texture. A piece to brighten up your room. Sides finished in black, ready to hang, no need for a frame.